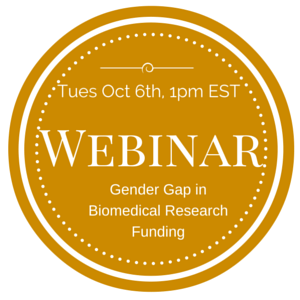 A study by Health Resources in Action’s Medical Foundation published today in the Journal of the American Medical Association (JAMA) finds that women received significantly less financial support from biomedical research institutions than men early in their careers. The study, focused on a group of 219 applicants for early-career grant funding, reports that employers gave newly hired men researchers a median of $889,000 to purchase equipment and set up their labs, compared to $350,000 for women scientists starting out at an institution. The difference was even more striking among applicants holding Ph.D.s – $936,000 in funding for men versus $348,000 for women. Forty percent of men received over $1,000,000 to launch their careers, compared to only 12 percent of women. The study drew upon grant application data from two biomedical research programs administered by the Medical Foundation, according to the study’s lead author, Dr. Robert Sege, Ph.D., Vice President of Health Resources in Action (HRiA) and Director of the Medical Foundation. The study notes that women are underrepresented at the top levels of biomedical research, comprising only 30 percent of funded investigators, according to the National Institutes of Health. Dr. Sege believes that the previously unexamined gender differences in early-career institutional support may be a contributing factor. Dr. Sege’s research team included Linley Nykiel-Bub, Grants Associate at the Medical Foundation, and Sabrina Selk, Senior Analyst at National Institute for Children’s Health Quality (NICHQ) in Boston. They noted that further study is needed to explore whether the gender differences are representative of all early-career scientists, as the data reported in the JAMA study covered institutions in New England. “This first look suggests the need for systematic study of gender differences in institutional support and the relationship to career trajectories,” Dr. Sege and his research team concluded.